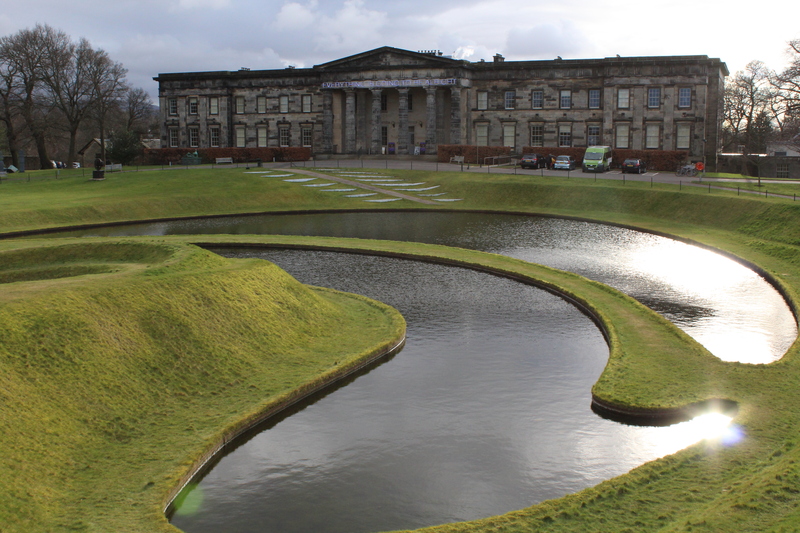 It’s weird, but sometimes the Scottish National Gallery of Modern Art is the thing that makes me feel most Scottish! That’s not because there’s a bunch of Scottish memorabilia in it – far from it! Instead there’s an impressive collection of artworks ranging from Francis Bacon, to Andy Warhol, to David Hockney, to one of my favourite artists Samuel John Peploe (part of the Scottish Colourist movement). Having lived abroad most of my life, there are moments where I struggle to find places where I feel truly at home or have a strong connection with. This Gallery has become one of those places of nostalgia. I remember visiting it for the first time when I was seventeen, living back in Scotland for the first time. Sixth Form was what I’ll call my ‘art awakening’; the period in which I realised what kind of art I wanted to be making (Barbara Kruger was a key influence at this point). So the combination of this revelation along with several art trips to this Gallery during that time have made it a very sentimental place for me. This of course is partially due to the sheer beauty of the place. The gallery’s architecture in itself is stunning (I think it’s safe to say I have a crush on Edinburgh architecture!) and the lush greenery surrounding it only enhances the feelings of tranquility. As does the presence of water, which on a beautiful sunny day like last Friday, sparkles and dances in the light. Walking around this landscape is an incredibly serene experience and although it is still relatively central to Edinburgh’s center, the hectic bustle of the city seems distant and far removed. Almost as if you are stood in an art filled bubble of peace. This swirling blend of land and water can’t help being viewed as an impressive Land Art piece, which for me brings to mind the works of Richard Long and Robert Smithson with his iconic ‘Spiral Jetty‘. In the grounds there’s also works by Henry Moore, who in my opinion is the father of all sculpture. His ‘Reclining Figure‘ series, one of which is pictured above, was a huge inspiration to me at the time I discovered it. I was and still of course am, fascinated by the blend of abstraction and figuration; by the way in which he has designed his pieces to allow the eye to travel smoothly along the figure. Barbara Hepworth is another sculpture pioneer who I greatly admire and on my list to one day visit is the Yorkshire Sculpture Park! Although I greatly enjoy modern art, I also love stepping away from it and looking to older masters. Particularly given my interest in the human body; there is nothing more exciting than exploring how body art has evolved throughout the decades.